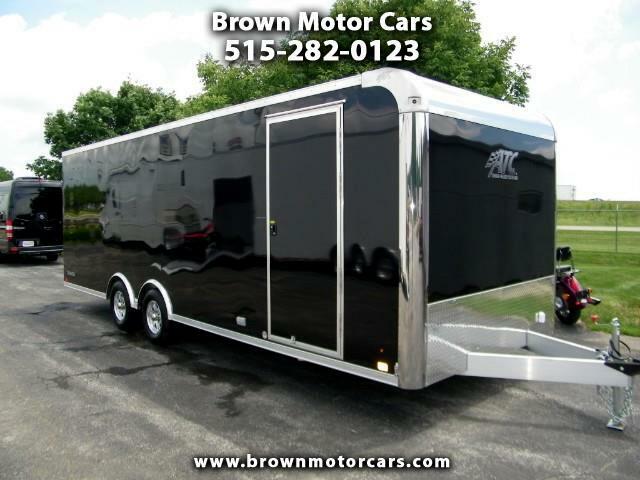 Thanks for looking at our new 2019 ATC Raven 8.5x24 Enclosed Aluminum Trailer! This trailer is well equipped with options including finished aluminum interior walls and ceiling, roof vent that's framed and wired for A/C, overhead and base cabinets, non-skid flooring, 5,200lb torsion axles w/brakes on both axles, 15" aluminum wheels w/10 ply rated radial tires, Premium escape door w/removable fender so you can actually use the door, 7ft interior height, 4ft beavertail, RV style side door, LED interior and exterior lighting, bonded exterior aluminum skin, stainless steel front corner wraps, and tons more! This trailer is very well built and it shows in all aspects! Give us a call with any questions or stop out and take a look at this awesome trailer for yourself.